Eating vegan but miss tuna salad? 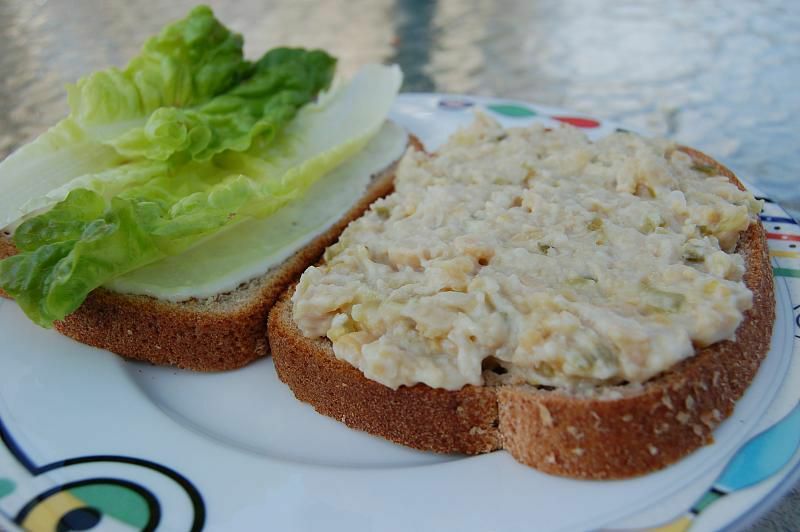 If you're a vegan (or vegetarian) who misses tuna salad or tuna sandwiches, you can get a very similar taste and texture using all the same ingredients, but substituting the tuna with tofu and adding a bit of kelp seaweed for a fishy flavor. The combination of the celery and red onion, mayonnaise, soy sauce, lemon juice, and kelp provide just the most perfect flavor combination to create a mock tuna taste that you'll ever find. Serve it up on lightly toasted bread for a vegetarian and vegan tuna salad sandwich, or plate it on lettuce leaves for a lighter and lower-carb lunch. Place the tofu in a small bowl and then crumble or mash the tofu with a fork until it reaches the desired consistency. It should be mashed to roughly the same consistency as tuna, so with a few small chunks and not completely smooth. Add the celery and onion to the bowl and gently stir to combine. In a separate small bowl, whisk together the mayonnaise, soy sauce, lemon juice, and kelp. Gently add this mixture to the tofu and stir to combine. If you have enough time, place your vegetarian tuna salad substitute in the refrigerator for at least 15 minutes before serving so that you can serve it chilled. Give it all a gentle toss again just before serving to mix up any of the liquids which may have settled a bit. On gently toasted bread with or without some lettuce and perhaps a tomato slice or two. Arrange a bed of romaine or butter lettuce leaves on individual serving plates and place a scoop of your vegan tuna salad on top for a nice presentation.